It’s been a little while since I’ve done one of these, and I can’t really think about much else to post about for this week that I haven’t already rambled about recently (considering both Star vs. the Forces of Evil and Steven Universe left me going AAAAAAAAAAAAAGH for a few days with their season finales), so here we go! I mentioned this in a few other posts recently, I think, but I GOT A NEW CAR YOU GUYS. 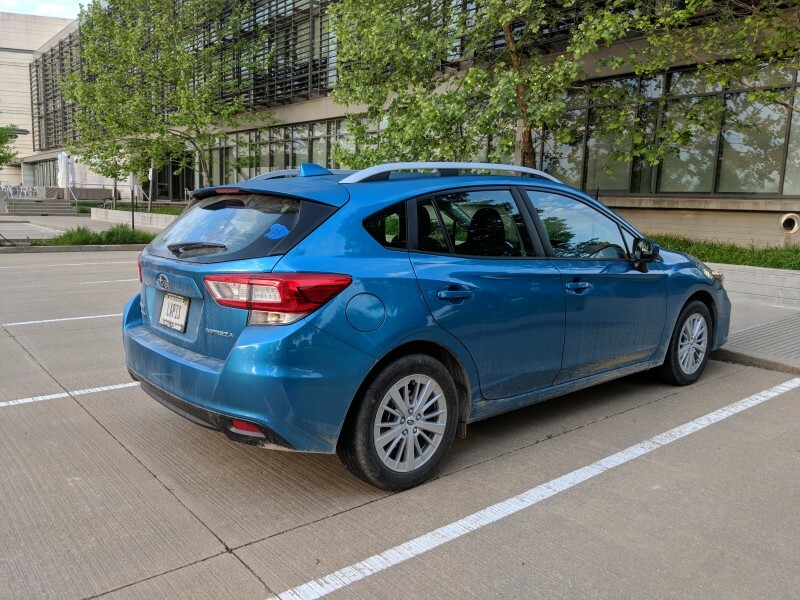 Her name is Lapis 2.0 (or Lapis for short), she’s a 2018 Subaru Impreza, she’s actually BLUE (unlike old Lapis), and I love her dearly and I’m gonna drive her until she dies. Here she is, all dirty after a weekend of LARPing a few months ago. At some point I’ll make a less work-related animated video, but for now, here’s a screenshot from a video I was working on! Speaking of Ëlinyr: she’s no longer an elf! Long story short: she decided to give up her elven-ness to anger her mother. I wrote a long rambly in-character account of how she initially dealt with being human, and if you’re interested, you can read it at Ëlinyr’s blog. I’ve been knitting like crazy lately. 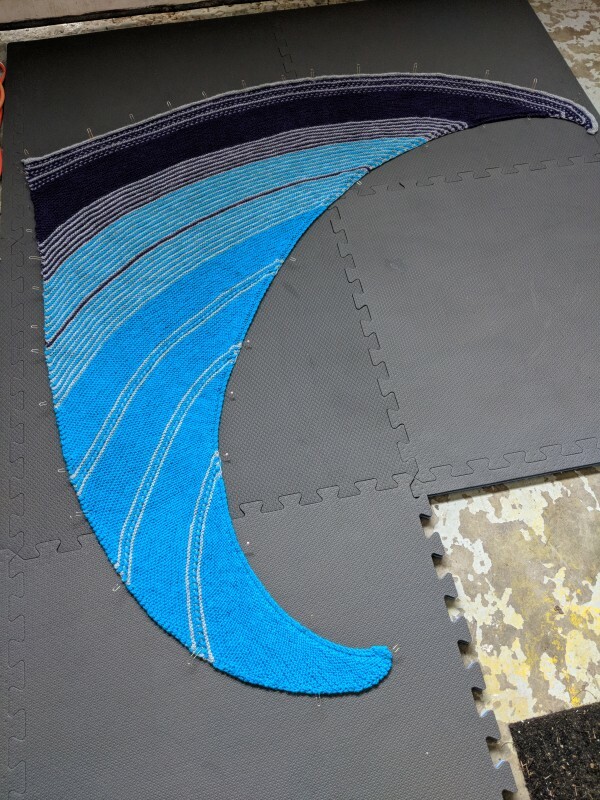 I found a shawl pattern that I love so much, I’ve actually started on a second shawl with that pattern. It’s Drachenfels, and you can find it on Ravelry here. There’s also a kit on Craftsy that has the pattern as well as the yarn needed – I got the kit in the Energy colorway, and I love how it turned out. Here’s the first Drachenfels, made from the kit I bought from Craftsy. I had to move my sewing studio out of the garage due to the ridiculous amount of spiders in there lately. Ugh. I’m making some progress with making enough space in my craft room to actually use it for sewing, though, so hopefully I’ll have a permanent home for my sewing machine soon. I’ve been playing a lot of Pokémon Go lately, and I’m really enjoying the new features they added to the game. Plus, it helps me get away from my desk at work and get active every so often. 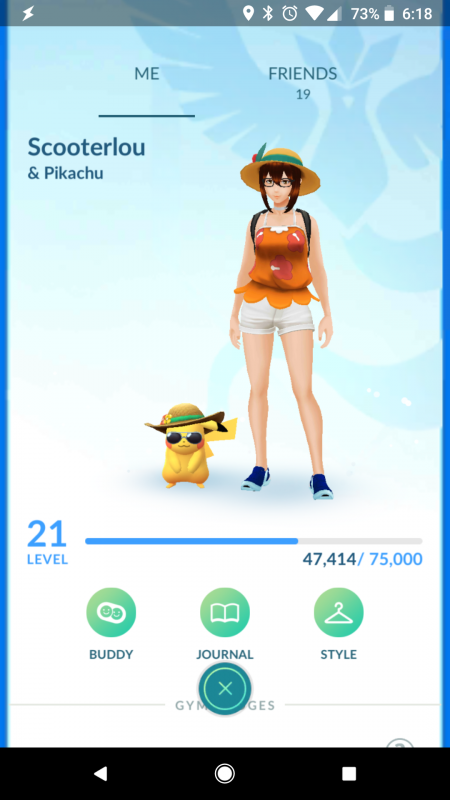 I love how Pikachu and I match, haha. So, that’s the State of the Nerd right now! Next week should bring us back to our regularly scheduled blog postings, I’ve got quite a list of ideas to write about, including a special series of posts for Gen Con!